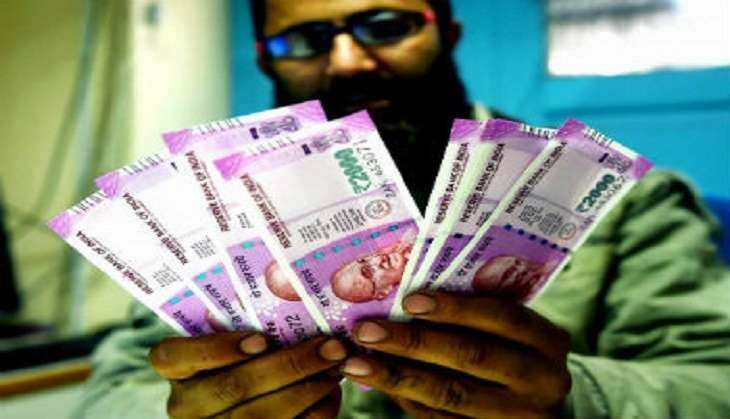 The Andhra Pradesh police have seized Rs 17.30 lakh in Rs 2,000 denomination, allegedly meant to be exchanged for a commission, from a man in the state's Krishna district. The man, along with an accomplice, allegedly brokered a deal with some persons for exchanging the scrapped Rs 500 and Rs 1,000 notes for a six per cent commission, a senior police official said. He used a police constable, his close relative working in Gudivada rural police station, as a shield for the operation. However, the persons who wanted to exchange the old currency did not turn up and Rahman started on his return journey. During a routine check, the police intercepted his vehicle at Pedaparupudi late last night and found the bundles of new Rs 2,000 notes. "We have detained the man while a hunt is on for his accomplice. The constable in question seems ignorant of the operation as this man only wanted to use him as a shield," Gudivada Deputy Superintendent of Police Ankineedu Prasad said. "We are now investigating from where he got such a huge amount of cash," the DSP added. READ NEXT >> Not one but two Oscars heading AR Rahman's way at the 89th Academy Awards, 2017?